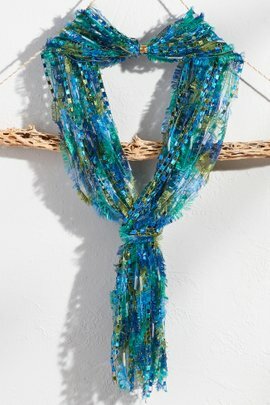 Scarves, shawls, and wraps are some of the most versatile accessories we offer. They offer protection against chills, as well as extra style and coverage when needed. Our collection incorporates unique patterns, fabrics, and details that give you the effortlessly stylish look that you want. 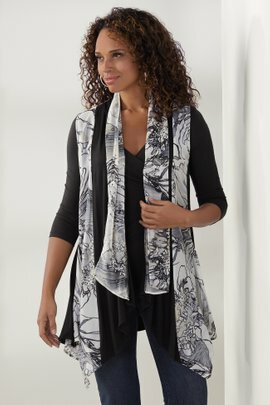 Each garment is also rated on our softness scale, so you’ll know what to expect even before it arrives.Our women's scarves make wonderful accessories for every season and can completely change up the look of any top, tunic, blouse, or jacket. Pair with some earrings or even a beautiful necklace to create a truly distinctive look.Women's shawls provide a bit more coverage and warmth, while also complementing whatever you are wearing. 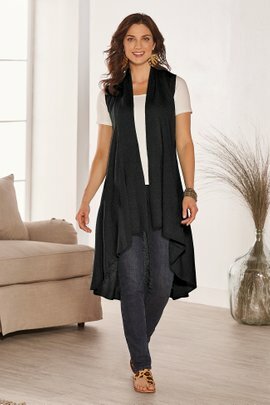 Shawls make a great evening option for when the weather gets a bit cooler, and are particularly stunning when paired with sundresses, tanks, and camis.Soft Surrounding’s women's wraps bridge the gap between accessory and garment, offering you the option of layers that can be removed or added as the temperature changes. These lightweight toppers, shrugs, and ponchos can pull together your look in a pinch and look great over even the barest camisoles or t-shirts.